20 textures each for the Tunic, Skirt, Belt and Bow...giving you hundreds of options for mix and match. 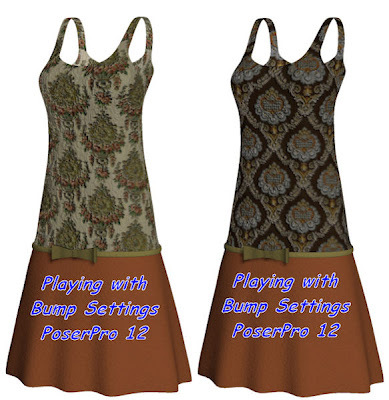 It was tested in DAZ 4 and PoserPro 12, not sure if it works with any other versions. 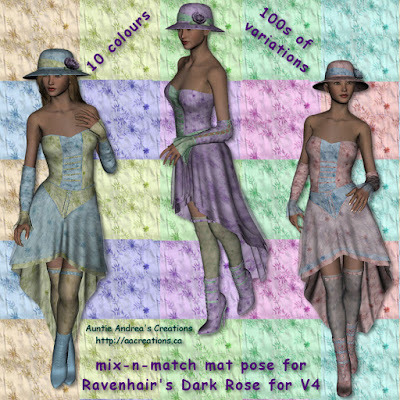 This set includes 10 colours for EACH AND EVERY ONE of the Materials, from the Leaves of the Rose on the Hat all the way down to the Eyelets on the Boots.